When China announced its open-door policy to welcome more Taiwan-produced dramas and films into the country, many Taiwanese actors breathed out a sigh of relief. It is no secret that China pays its celebrities extremely well, as evidently seen in Taiwanese stars like Wallace Huo (霍建華) and Eddie Peng (彭于晏), who have successfully broken into the mainland market. The earning differences between Taiwanese stars who work in China and those who chose to work at home are astounding. 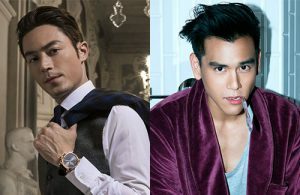 According to the Top 100 Highest-Paid Chinese Actors list, Eddie Peng came at number eight, earning 30 million yuan (approximately NT$140 million) per film. That is higher than even some of China’s most popular local stars, including Kris Wu (吳亦凡), Li Yifeng (李易峰), and Yang Yang (楊洋), who earn about 20 million yuan per film. Taiwan-based actor and Eternal Love <三生三世十里桃花> star Mark Chao (趙又廷) also has high demand in China, earning about 15 million yuan (NT$69 million) per film. The highest-paid Taiwanese actor in China is, without a doubt, Wallace Huo, who earns a staggering 60 million to 100 million yuan (approximately NT$470 million) per drama or film. This high number is all thanks to the 2015 hit drama The Journey of Flower <花千骨>, which had successfully pushed him to become one of the highest-paid actors in China. The licensing rights for his upcoming drama with Zhou Xun (周迅), Ruyi’s Love in the Palace <如懿傳>, currently costs about 9 million yuan per episode. An up-and-coming Taiwanese star to watch in China is Tony Yang (楊祐寧), whose film Monster Hunt 2 <捉妖記2> broke a first-day grossing record in the mainland. Tony is also active on Chinese reality TV, and reportedly earns about 40 to 50 million yuan (NT$230 million) per TV show in China. 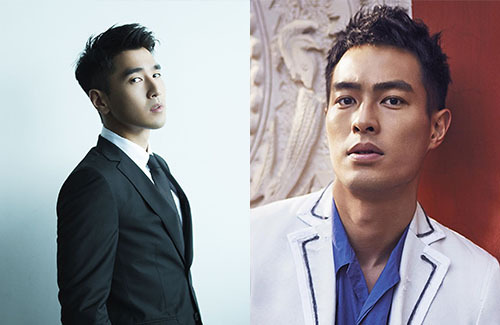 “Senior” Taiwanese idol actors like Peter Ho (何潤東) has also found success in China. His collaboration with Sun Li (孫儷), the drama Nothing Gold Can Stay <那年花開月正圓>, earned top ratings when it aired in the mainland last year. Even though Peter was not the main lead on the show, it was a breakout performance for the actor, and he now reportedly earns about 30 million yuan (NT$140 million) per production. David Wang (王耀慶), one of the first Taiwanese actors to break into the mainland market, has an asking price of 30 to 50 million yuan (NT$230 million) per drama or film. In terms of Taiwanese actresses, Joe Chen (陳喬恩) comes on top with 50 to 60 million yuan (NT$276 million) per drama, putting her as the second-highest earner after Wallace Huo. Ruby Lin (林心如) earns about 30 million yuan (NT$138 million) per show, and Janine Chang (張鈞甯) earned 20 million yuan (NT$92 million) when she starred alongside Fan Bingbing (范冰冰) in 2014’s The Empress of China <武則天>. Ady An (安以軒) reportedly earns about 15 million yuan (NT$69 million) per drama. Taiwanese artistes who are filming local shows, on the other hand, do not earn as much. 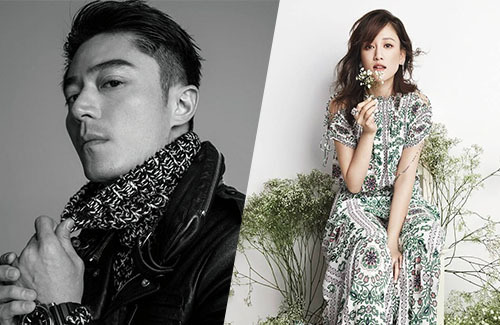 Earning NT$50,000 to NT$80,000 per episode for a Taiwanese drama is considered high, and artistes like Angus Hsieh (謝承均), Vicky Tseng (曾莞婷), Angel Han (韓瑜), Eric Huang (黃少祺), Nic Chiang (江宏恩), and Carolyn Chen (陳珮騏) are at that level. It would take these stars to film 150-episode shows to reach the level of their peers’ earning power in China. 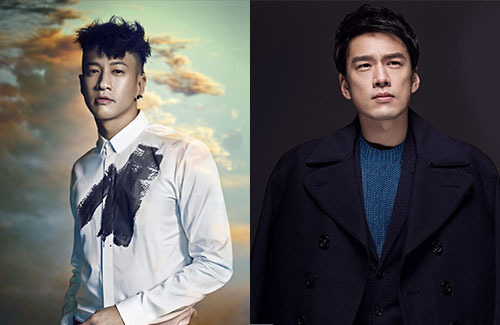 After reading this article, I really want to know the earning power of Hongkong stars in China as well, such as Wallace Chung, William Chan, Nicholas Tse…and others. I guess the Taiwanese artistes have more advantage to breakthrough the China market as they all speak Mandarin fluently. @olivegarden Wallace Chung is also one of the highest paid actors in China. He shifted his career there for quite some time already. An up-and-coming Taiwanese star to watch in China is Tony Yang (楊祐寧), whose film Monster Hunt 2 broke a first-day grossing record in the mainland. I didn’t follow Tony Yang’s career, but, I know he did have steady work. He’s not a new actor. He’s been in the industry for more than 10 years. But, his profile did indeed get a lot higher lately. Maybe due to the reality TV. I think he got his first break in Formula 17. That’s also the first film I saw him in. This small budget movie was a huge success in Taiwan. Happy for his second break. Feel sad that Ruyi still cannot be broadcasted in China. Hope they can broadcast Ruyi soon.